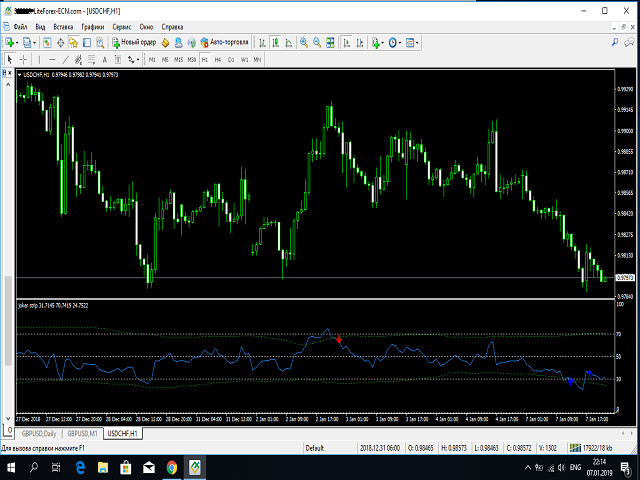 The Joker strip indicator is designed for traders who trade on lower timeframes, such as M1 to M15. 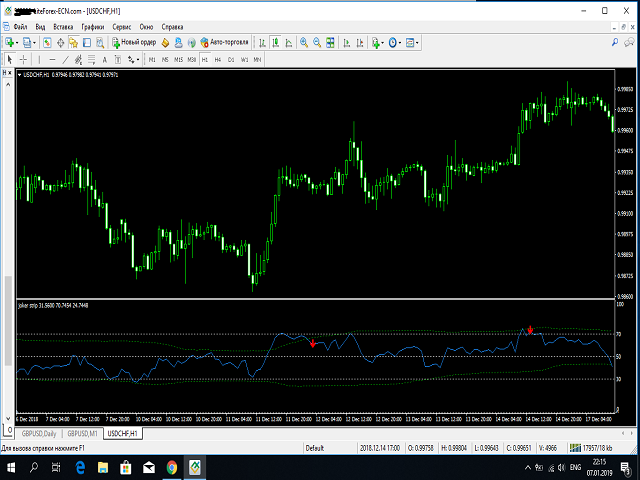 The indicator is based on several oscillators using multi-timeframe trend filters, providing truly accurate market entry. 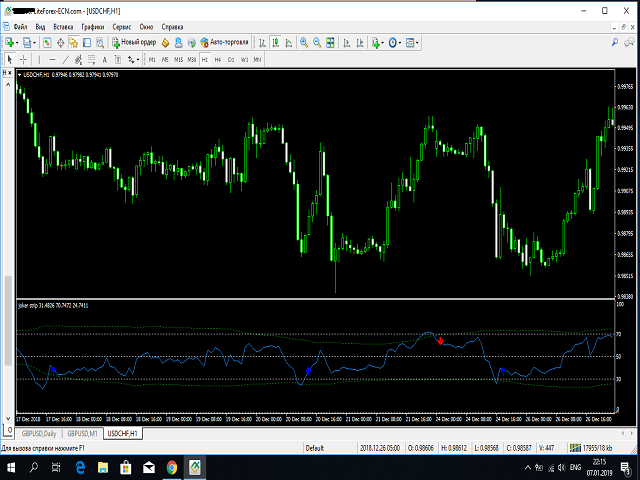 The indicator gives a visual representation of the signal strength on the current chart and timeframe and notifies you of the possibility of making deals. The Joker strip indicator does not need to be configured, it is already configured to work on all major pairs. Only the arrow appeared down sell and buy the arrow up.